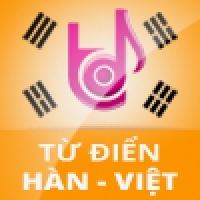 With over 200,000 words và collocations, Korean and Vietnamese dictionary includes Korean - Vietnamese dictionary; Vietnamese –Korean dictionary; Vietnamese definition dictionary. This is lifetime version. - Autolook: Easier searching with 1 click (Ctrl + Rightlick directly on the word). - To hear a word’s pronunciation, click the sound icon in the Definitions window. - Automatically recognizing languages: English, French, Vietnamese, Chinese and languages specified features. The dictionary will parse this text and provide the meanings of words or phrases in it according to their combination. mtdKVH10 allows you to research any word appearing in the Definitions windows. Suppose that you do not know the meanings of some words in the Definitions window. Just click it to see its meanings immediately. On the Tools menu, click Listening. The Listening dialog box appreas immediately. - Select the paragraph that you want to hear pronounced, then copy and paste in the text box. This is a useful function for internet users. A quickview window is always displayed on the top of an application. Activate this function by clicking on MTD symbol in right bottom taskbar of the screen. Highlight and drag any word you want from website and release it into Quickview window, the dictionary will suggest the most accurate word/phrase. 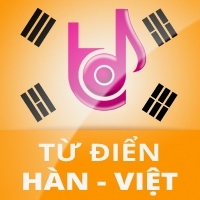 Phần mềm từ điển Hàn _ Việt đã được update lại về giao diện nên khách hàng có thể tải và sử dụng thử lại: vui lòng bấm vào phần Download để cài đặt. Thân! Sau khi cài đặt xong ứng dụng, kích vào biểu tượng LAC VIET mtd KVH, chọn dùng thử 30 ngày. 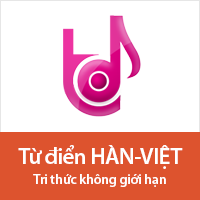 tôi gặp hộp thoại báo lỗi: Microsoft Visual C ++ Runtime Library Run time Error! No1- Active Online: If your Pc connent the internet just choose the option Active online, press Next, the programm will get active license (finish and dont need to do no.2). No2- Manual: Choose option Manual and use Test key to get license. There are 3 ways to get license key. 1- SMS to the cell phone 0908043635 as the below formula: MTDKVH [Test key] (Exp: MTDKVH CFC9-D106-3800-0050). or 3- Dial to: (84-28) 3844 2477 and talk to supporter. Enter the license key that you get from step 1 and press the button Next then you press Finish to end it. - After finished the purchasing step you will get the number to active the production.